What a night the St Albans Symphony Orchestra gave its audience on Saturday. 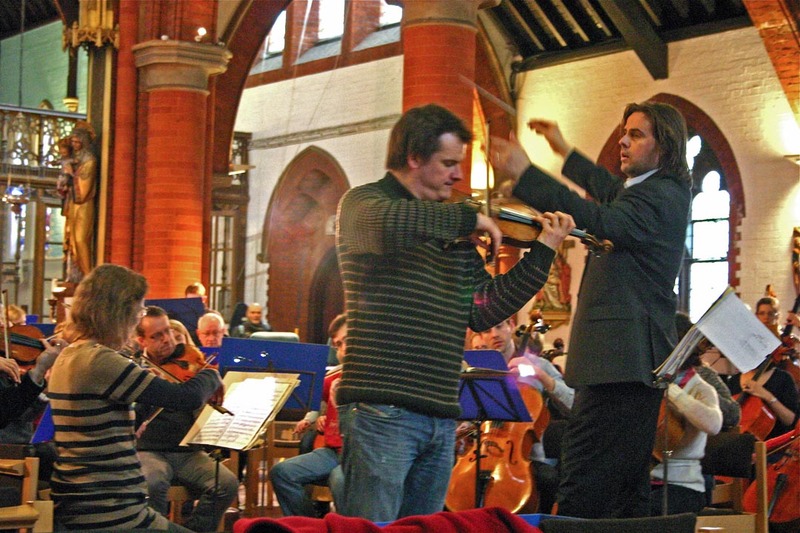 Orchestral Colours was the name of the programme it presented at St Saviour’s Church in St Albans and that was exactly what it gave, from the sparkling pyrotechnics of Shostakovich’s Festival Overture to the sombre darkness of Sibelius’s Swan of Tuonela. And to set the whole thing off was Harpenden’s Magnus Johnston and his fine performance of Beethoven’s Violin Concerto. Apparently written in great haste for a concert just three days later, the Festival Overture is one of those pieces which sets toes tapping. It is just the tonic to lift spirits on a grey day and the orchestra under conductor Bjorn Bantock did it full justice. But it was really just a warm‑up for the real musical treat of the violin concerto that followed. Magnus Johnston’s performance was a complete musical treat and the performance from the orchestra matched his excellence. Throughout the work Magnus demonstrated his tremendous virtuosity and the performance never lacked in emotion, mood and feeling. This was a purposeful and exciting performance which left the packed audience almost begging for more. And, in a different way there was more for, after Paul Dukas’s Fanfare from La Péri, which gave the brass of the orchestra a few moments of extra glory, came a remarkable performance of Sibelius’s emotion charged Swan of Tuonela which saw a guest return to the orchestra of former principal oboe Karen Mason who performed the wonderful cor anglais solo which is at the heart of the work. Once more Bjorn Bantock, the orchestra and their quest produced an exquisite and moving performance. The evening ended with Debussy’s La Mer, a difficult work charged with atmosphere in each of its three sections. Again the orchestra worked well to achieve a very satisfactory performance. Throughout the evening the orchestra and Bjom Bantock demonstrated that the orchestra is now in fine form… Additionally it is presenting interesting and stimulating programmes which are reaping rewards by attracting good audiences.